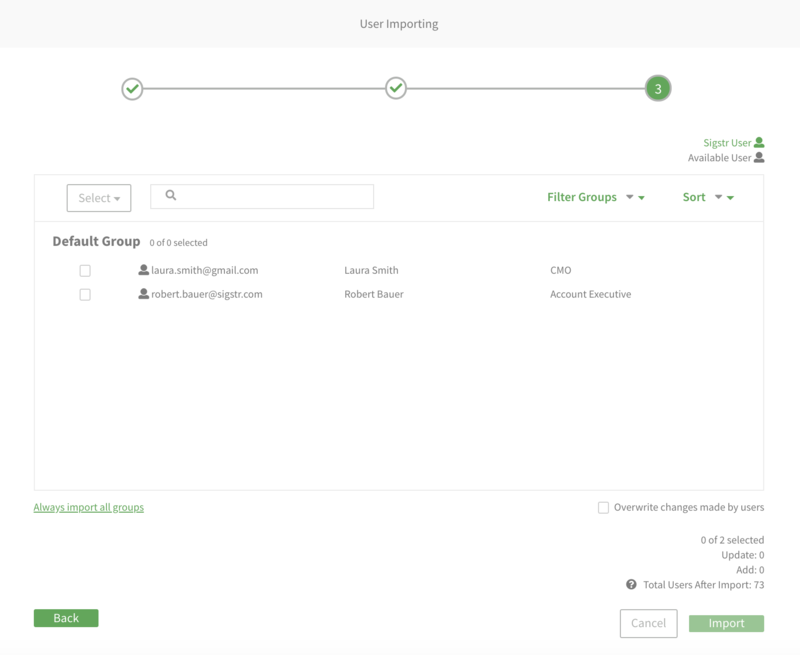 In order for Sigstr to pull employee information into a signature template, user data needs to be available within the Sigstr application. The following steps detail how to add employee data via a CSV import. First, organize employee information via a CSV file. CSV files can be exported from Active Directory or virtually any HR management software. The first row of the CSV file should identify the information contained in each column and the subsequent rows should contain user information. 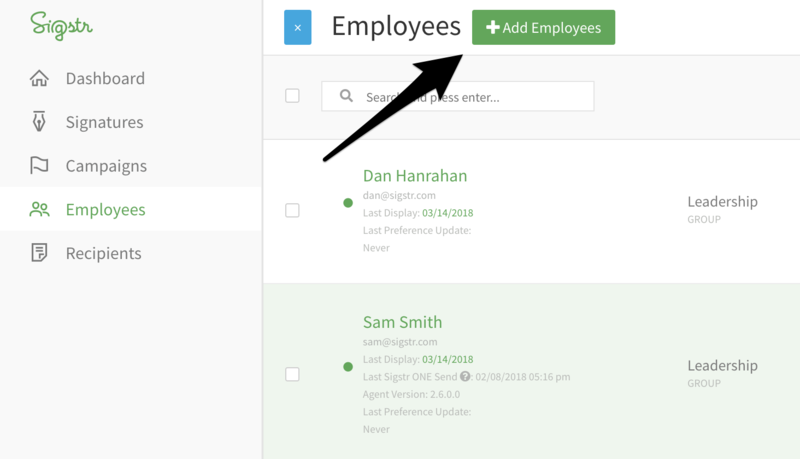 The only field required to create a user profile within Sigstr is the employee email address. email – The ONLY required field. group – This is the easiest way to create groups in Sigstr. Note each Sigstr user can only be aligned to one group. It is not necessary to perfectly align CSV column headers to Sigstr field titles. 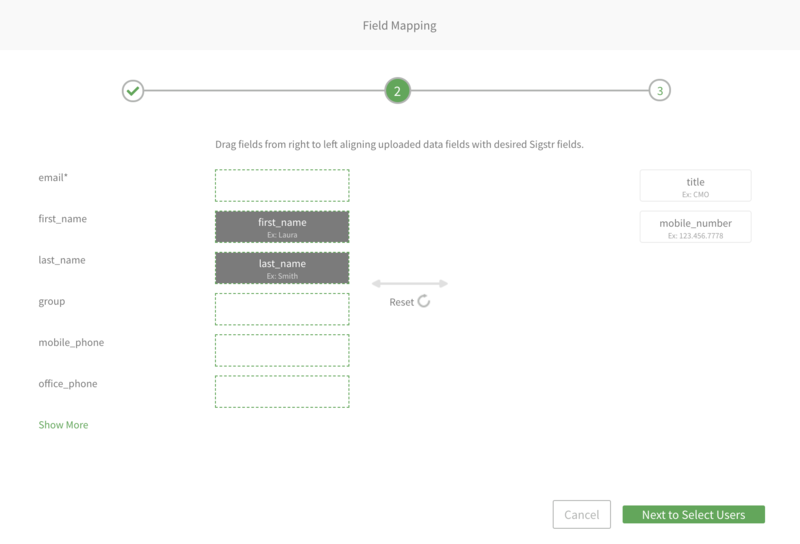 You will have the opportunity to map fields during the CSV upload. 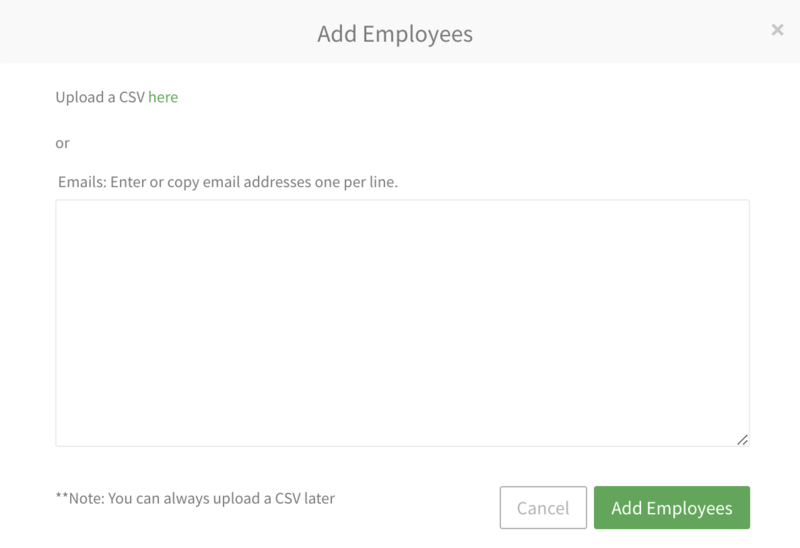 Once the CSV file is ready for upload, log-in to your Sigstr account, navigate to the Employees section and click Add Employees. After clicking Add Employees, you will be given the opportunity to upload a CSV file. Choose your previously produced CSV file and click Open. Once you have uploaded the CSV file, the next screen will give you the opportunity to map CSV column headers to Sigstr fields. After the fields have been placed, click Next to Select Users. The final screen will allow you to dictate which users listed in the CSV file will be imported. If a user is highlighted in green, that user profile already exists in Sigstr. You can choose to import all users, all existing users, all available users (meaning they do not exist in Sigstr), or individual users. 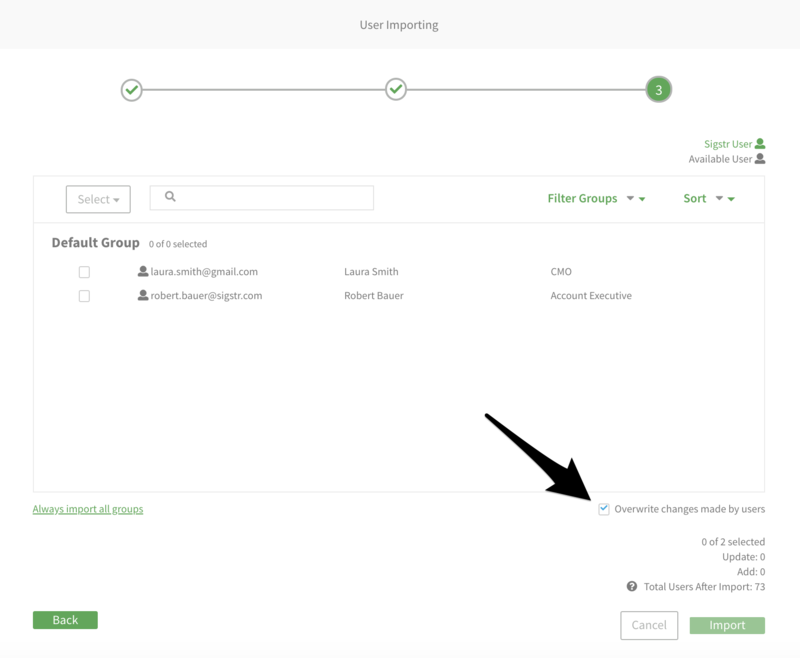 If you check the option to Overwrite Changes Made By Users, the import will override any data changes previously made by end users. After choosing the users and groups to import, the CSV import process is complete! You can view imported users via the Sigstr Employee page.